I'm preparing for a photo shoot tomorrow and am having lots of fun preparing vignettes for it. I just spent a fortune at Central Market and my creativity was going wild as I walked down the vegetable, fruit, wine, cheese and bread isles! The grocery store has lots of treasures! The above vignette was arranged on a round mirror I had (you know I'm a believer of "using what you have") and I think it's coming together! 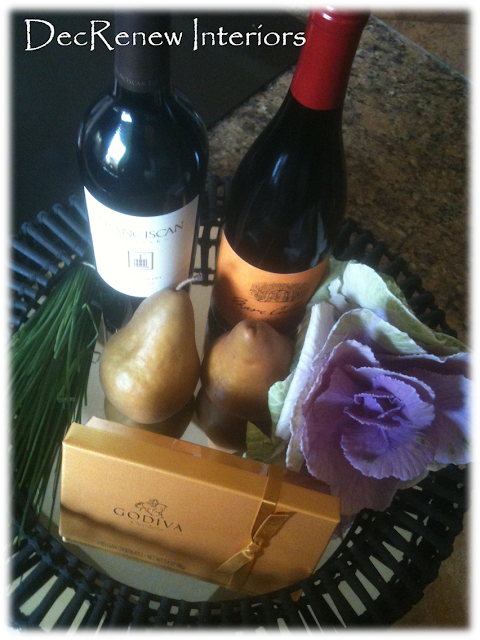 The best part is that my husband and I get to enjoy the goodies this weekend. 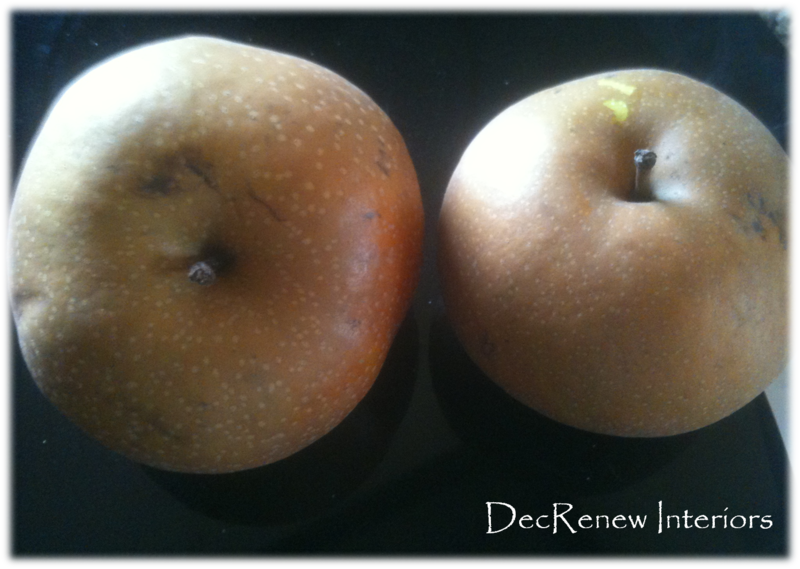 These Asian Pears are enormous and have such great texture and color. 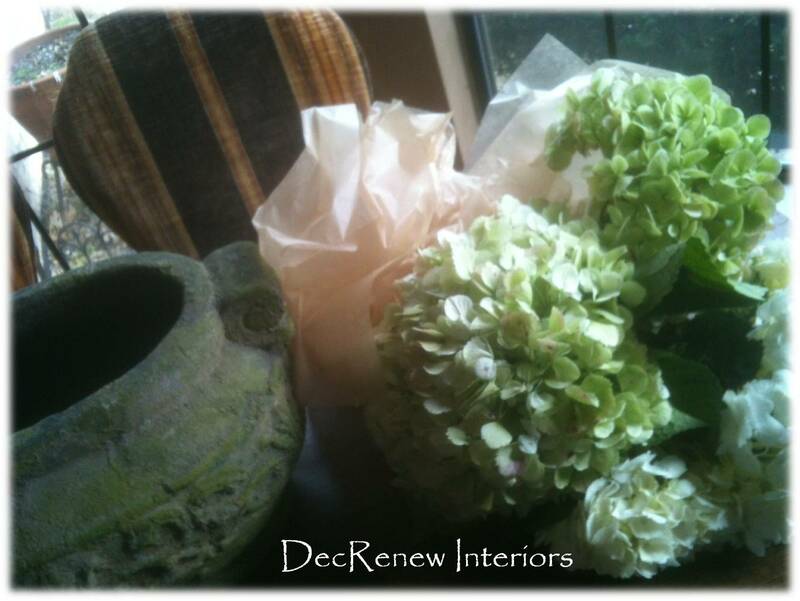 These huge Hydrangea will go in this moss covered urn and will look so soft and natural! I'll keep you posted with more photo's later after the photographer does his magic!